Glenwood is joining with thousands of schools worldwide in observation of National Bullying Prevention month! This campaign is held during the month of October and unites communities around the world in the attempt to educate and raise awareness of bullying prevention. Glenwood students are wearing BLUE today to show their solidarity in fighting bullying. Please join us in our efforts to make Glenwood a bully-free zone! 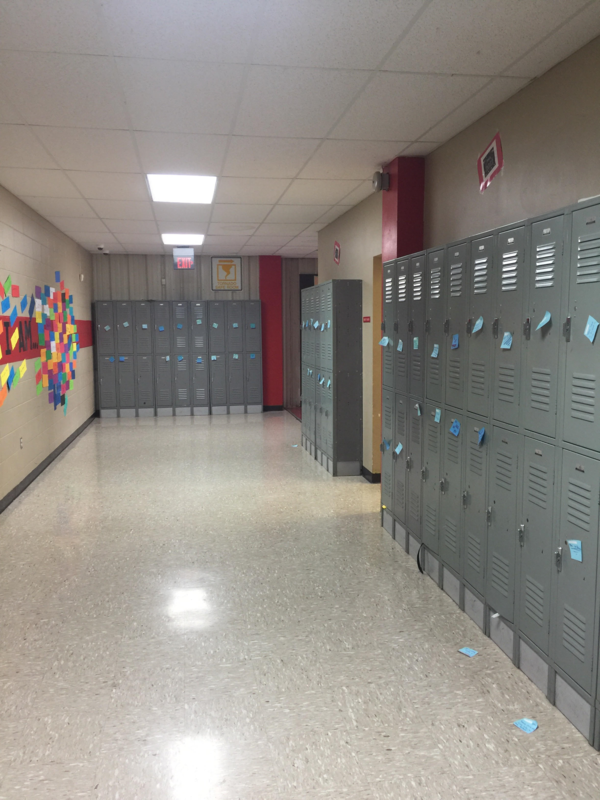 Notes of positivity fill the junior high hallway! 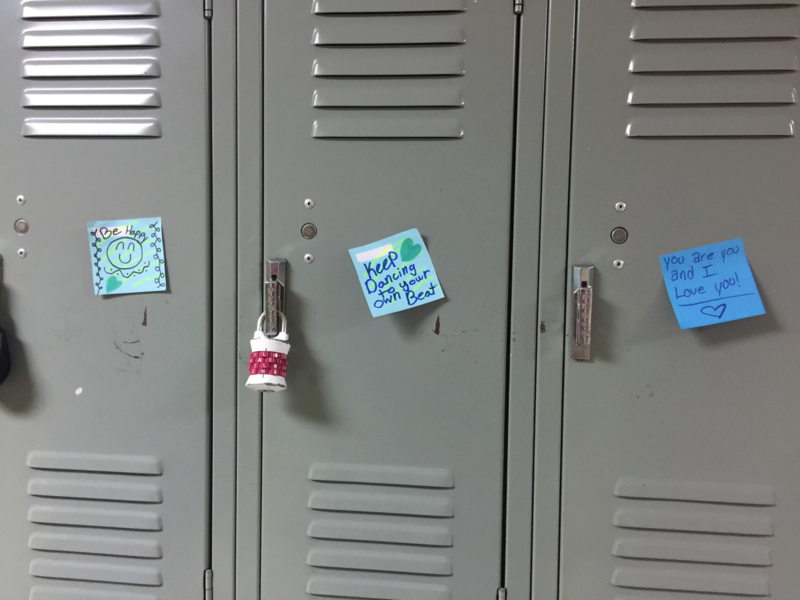 Kind words and motivational sayings were posted on all 6th-8th grade lockers. 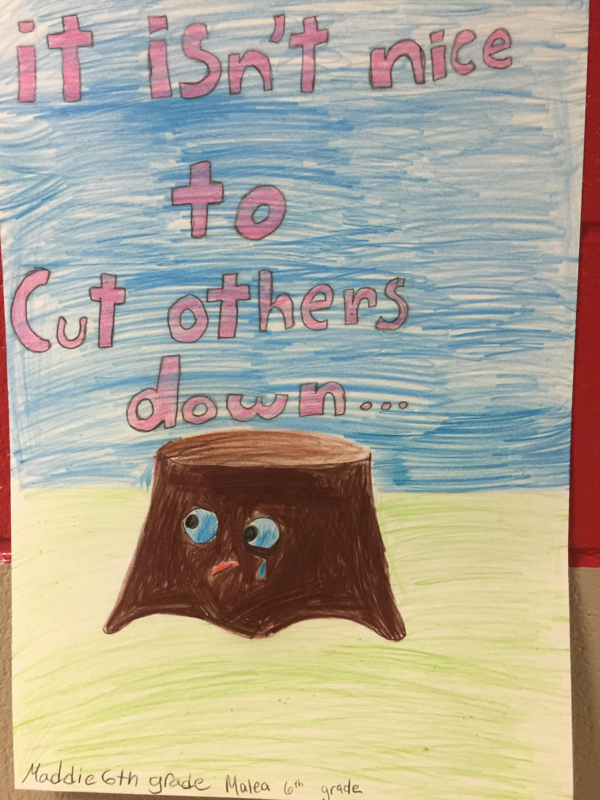 Posters reminding students about the impact of bullying are displayed in the junior high hallway. 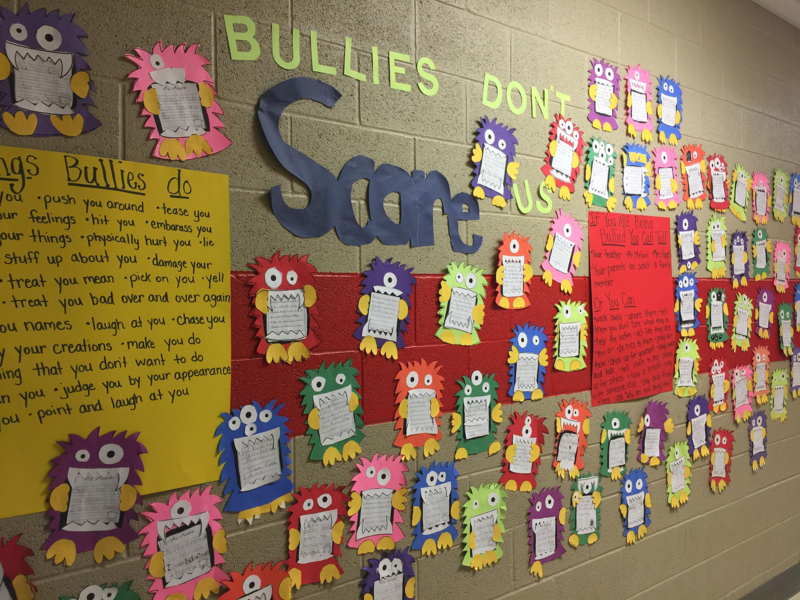 The lower grades recently discussed strategies to handle a bullying situation and created a "Bullies Don't Scare Us" wall display.